Our 'Take Your Pick' blog series is quickly becoming one of my favorites to post about. I have so much fun searching and seeking out the right items to share with y'all. 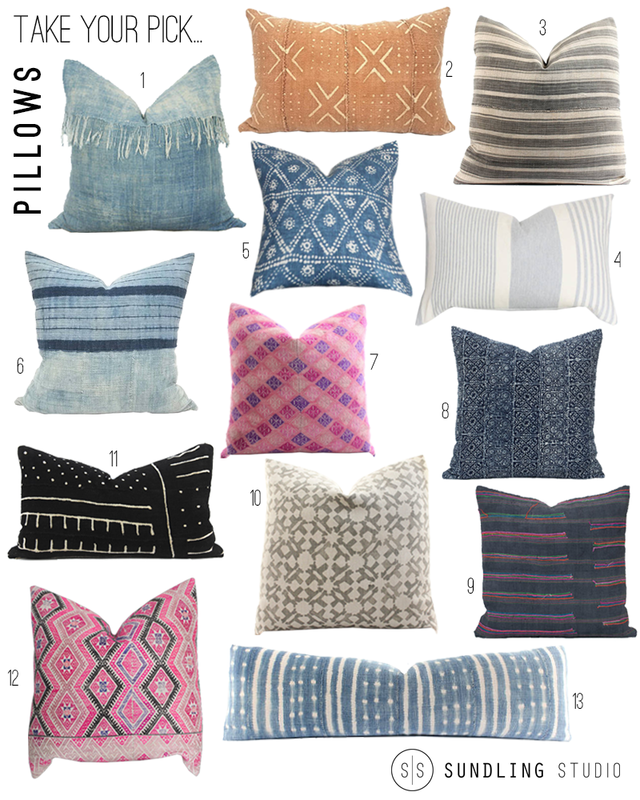 Today I've rounded up some of the prettiest pillows you ever did see and they are all from Etsy...which means, you're not only helping out a small business owner when purchasing a pillow, but most likely you're also getting a killer pillow for a killer price...it's a win win! Feast your eyes on these stunners below and let me know whatcha y'all think!